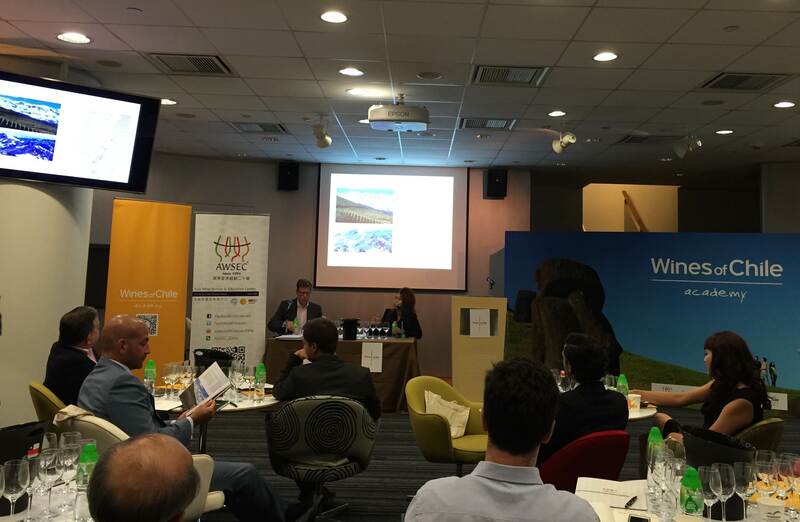 The Wines of Chile Academy introduced their programme of educational courses here in Hong Kong this week, with a presentation taking key industry members through the entry level course. The series of three courses was designed jointly by AWSEC (Asia Wine Service & Education Centre) in Hong Kong, Wines of Chile and ProChile with assistance from London based WSET (Wine and Spirits Education Trust). The first level, the Ambassador, is suitable for those wine enthusiasts with no prior knowledge of Chile and its wines. It covers an introduction to the main regions, the history of winemaking in the country and a tasting of six wines during the one-off 3-hour class. Building on knowledge gained at the Ambassador level, the Specialist is a 6-hour class offering a more in-depth looks at regions and sub-regions, trends in viticulture and vinification together with a tasting of 12 wines. At the pinnacle of this programme is the Maestro, or the Master. This is a 5 – 10 day trip to Chile to visit wineries and meet winemakers and members of the local industry. 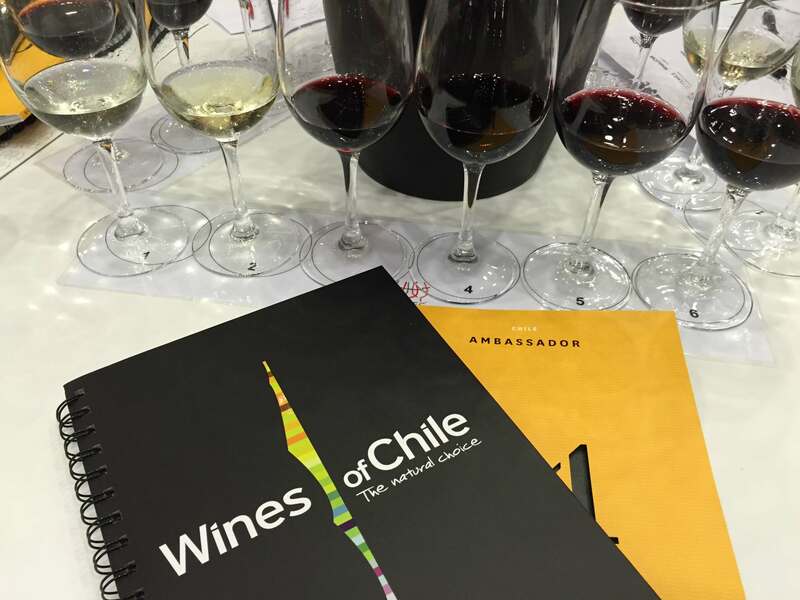 Led by a Wines of Chile Educator this course provides the student with an opportunity to experience all that has been studied in the earlier levels. An exam is conducted at the conclusion of each level with a certificate awarded for candidates who obtain a mark of 70% or above. The launch in Hong Kong was part of a roadshow that had started in Shanghai before moving to Guangzhou, then on to Hong Kong and concluding in Beijing later in the week. Each of these cities has a centre offering the Wines of Chile Academy courses. As we were taken through the materials for the Ambassador level we experienced first hand the variety of tools on offer, these included videos, slides, presentations from Wines of Chile Educators who had travelled to Chile to research the course and a tasting of six wines to conclude. In keeping with the Chilean focus, the launch closed with a demonstration of how to make the perfect Pisco Sour, using that quintessential Chilean spirit Pisco – delicious! For further information about the courses, schedule and costs for Beijing, Shanghai, Guangzhou and Hong Kong be sure to get in touch with the team at ASWEC.